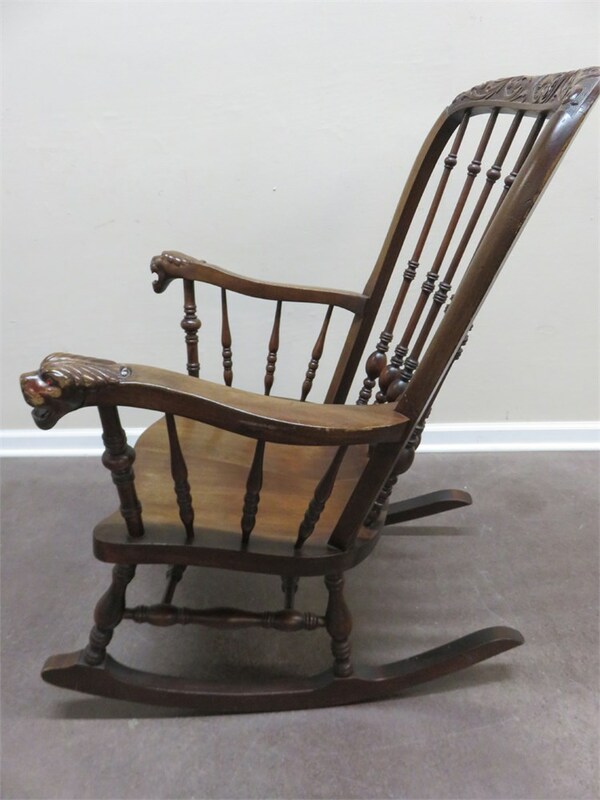 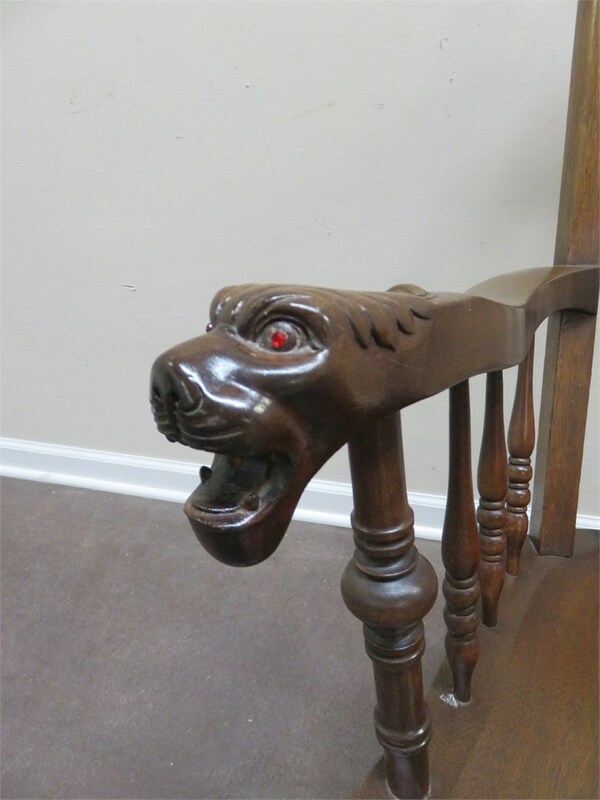 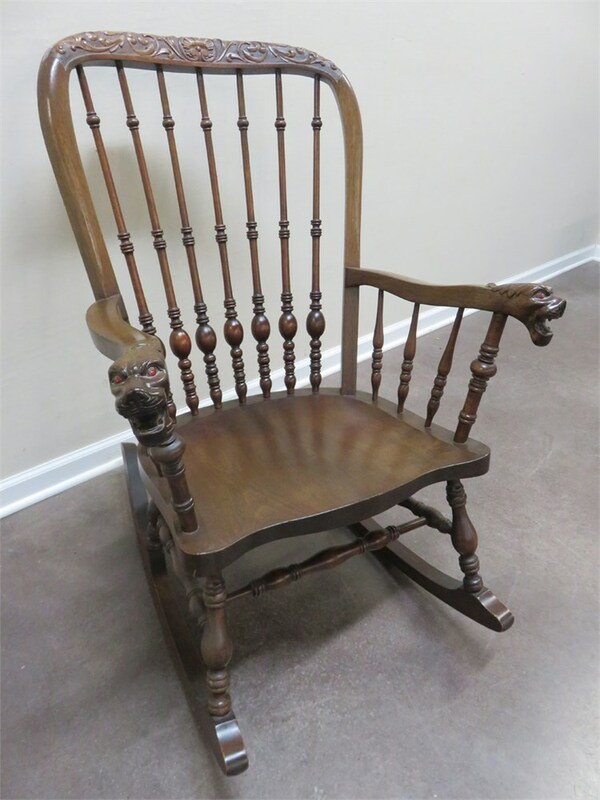 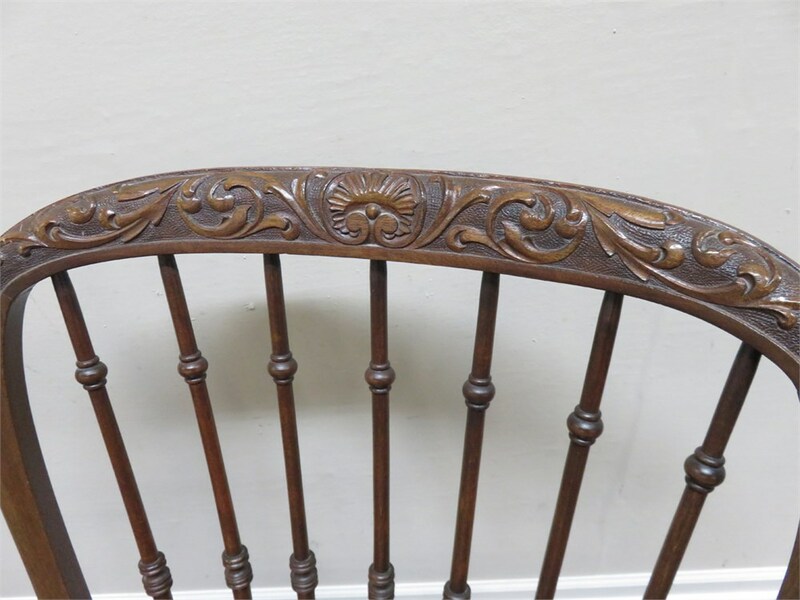 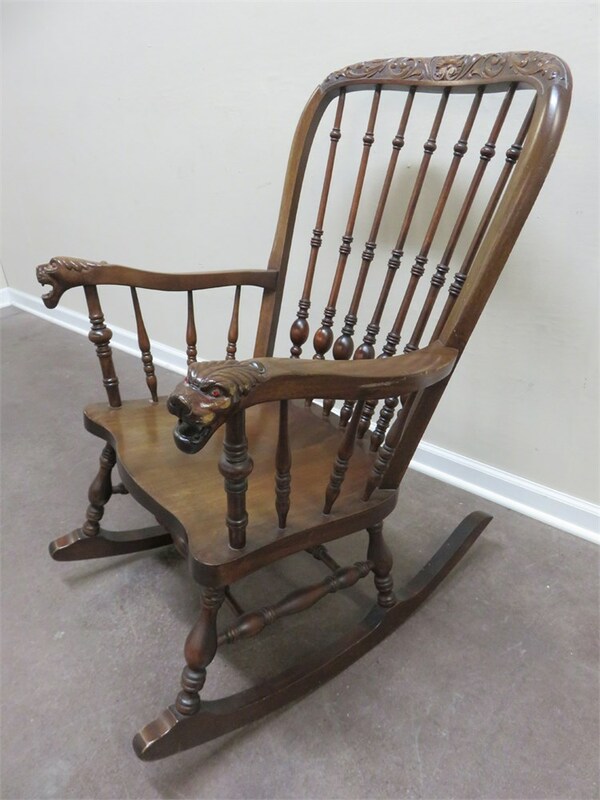 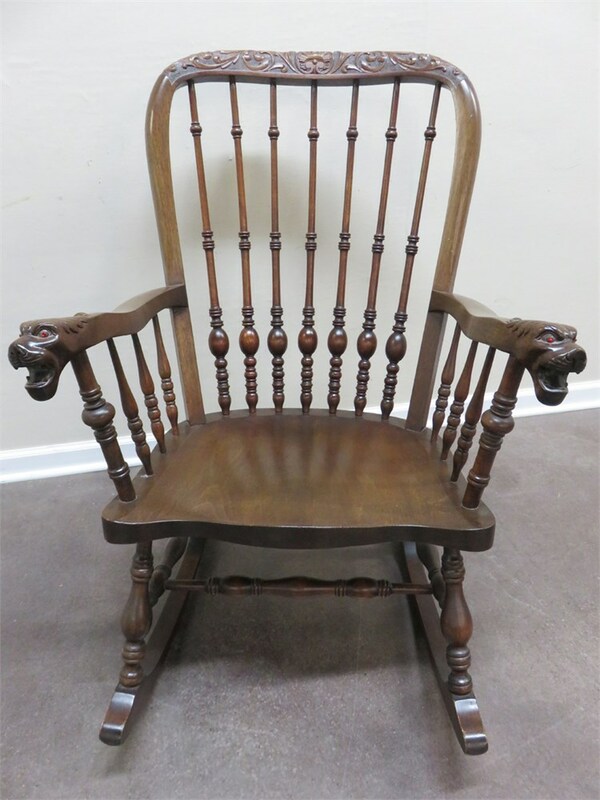 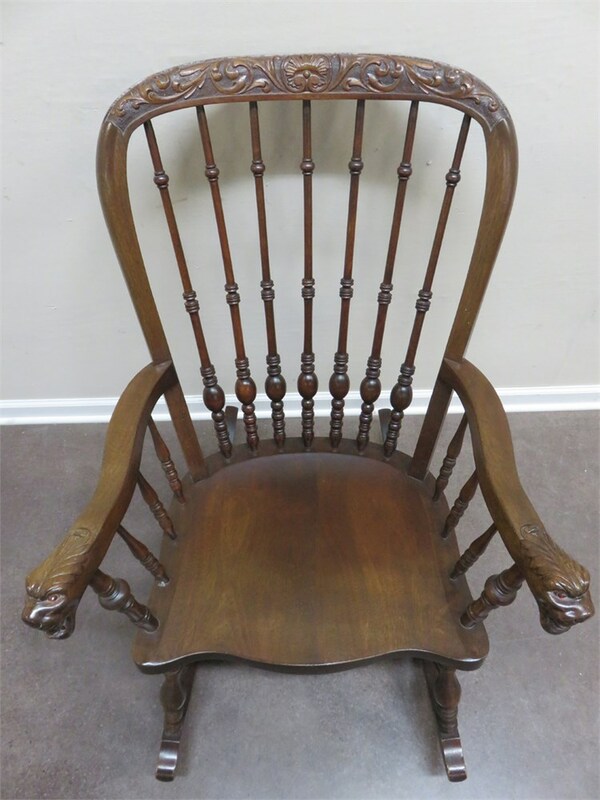 A vintage carved walnut rocker with lions head arm ends and spindle back design. 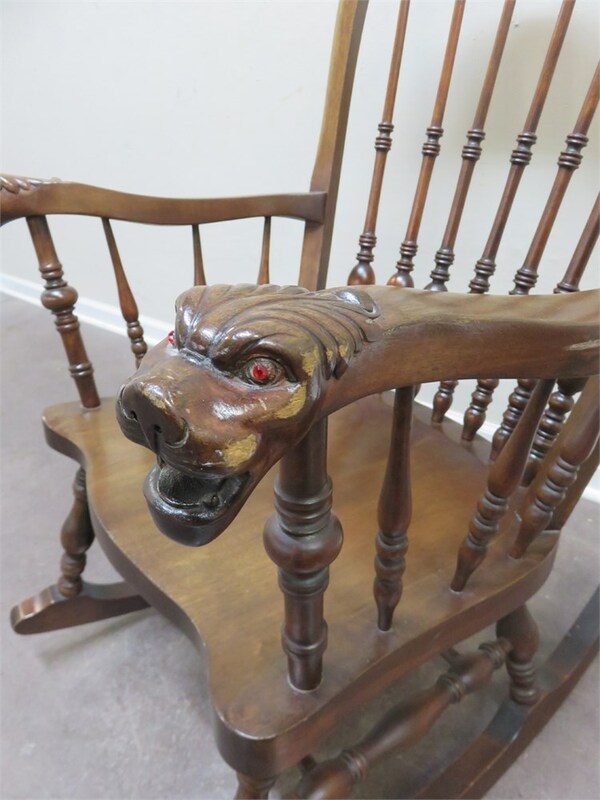 Some of the joints appear to be a bit loose and may need to be tightened and/or glued. 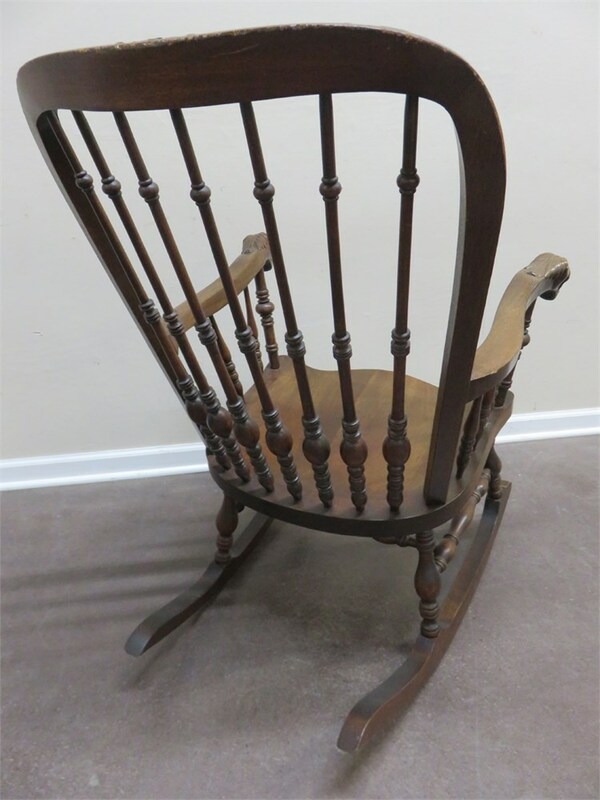 The exact age and origin of this chair is unknown.